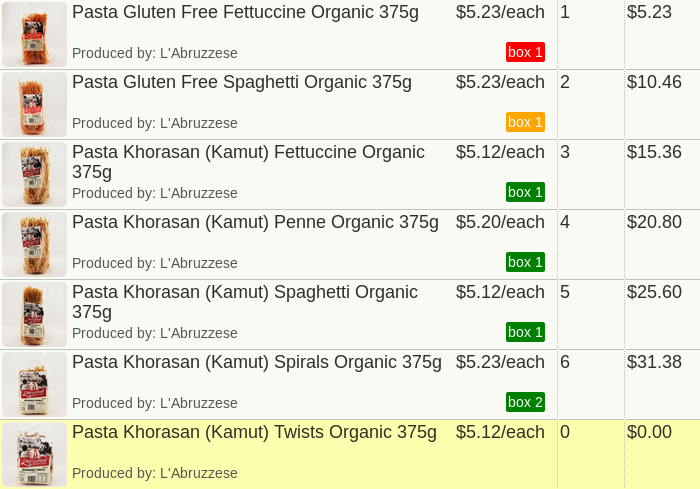 Lettuceshare is all about food, but until now the ordering system has left that up to you to visualize! 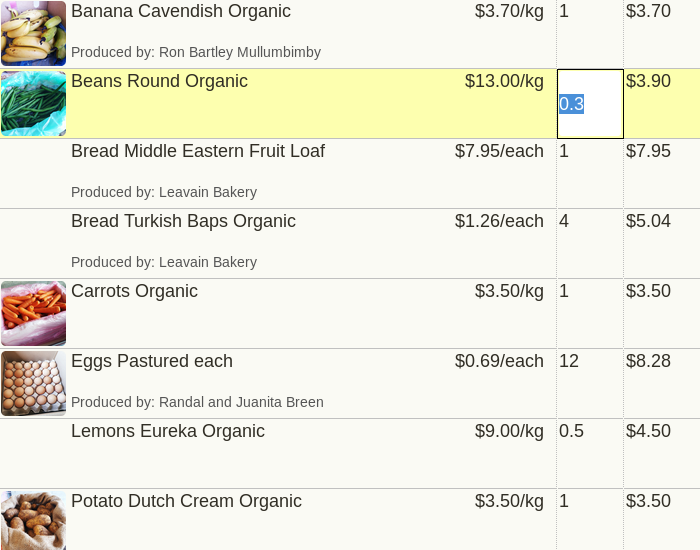 The coloured box number to the right of some products is a short hand for the full quota information that is shown at the top of the ordering page. Red means under 20% full, orange is under 50% and green is over 50% in the first box. Anything over the first box will also be shown in green, because you have at least met the quota for one full box. You will also notice that not all products in the screenshot above have pictures. That's where you come in! If you would like to see more product images in Lettuceshare, please take photos of your produce when packing and get them to your stock team. They can now upload images on the stock page, which will also make them available for other groups to share. I'm hoping this will be a collaborative process, so we can all do a little bit to make Lettuceshare look great!